Over one in five Belgians live in poverty. These numbers were published by Eurostat in account of the International day for the Eradication of Poverty. While Belgium on average scores better than the European average, there is still a long road ahead of us. To support these less fortunate families, many charities offer them support packages, but personal care products are often forgotten in the process. Because Oleon & Christeyns are convinced that hygiene is also a fundamental right, they both decided to support 3 Flemish charities with soap. Oleon produces raw materials that are amongst others used in personal care products such as soap and laundry detergents. In our customer Christeyns we found the perfect partner to develop great products of solid quality. 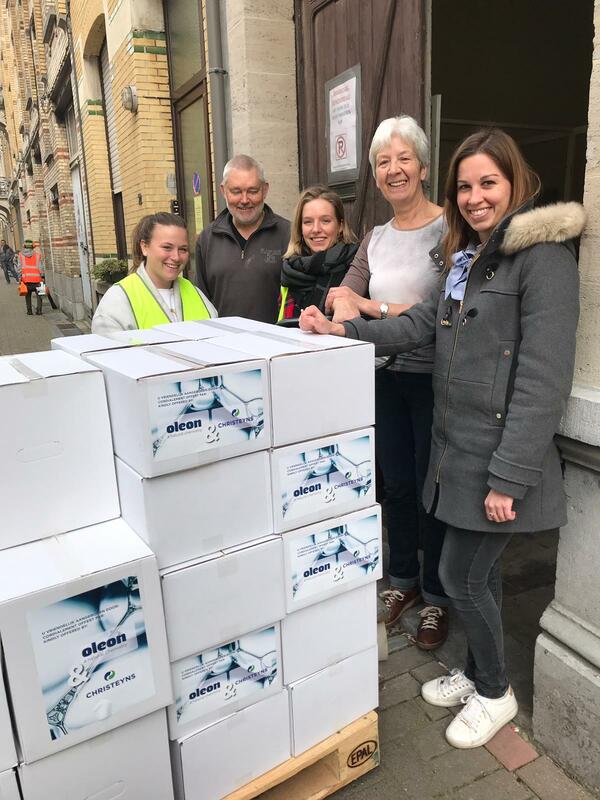 1,200 bottles of hand-& body wash and 600 bottles of laundry detergent were distributed amongst 3 charities in Brussels (Voedselhulp Overijse), Ghent (Kras Vzw) and Antwerp (Zenith Vzw). These personal care products are more than welcome, since these products are expensive & often unavailable for charities who support vulnerable families. With this initiative, hundreds of families have been helped.